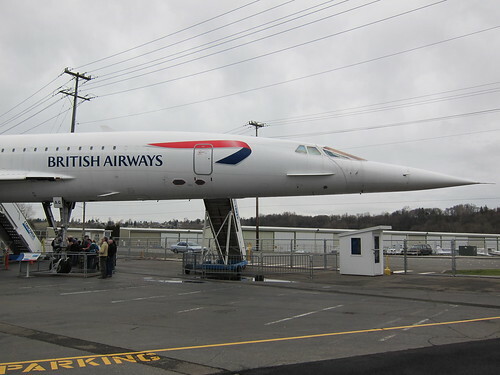 While in Seattle, I stopped by the Museum of Flight near Boeing Field to visit one of the retired Concorde jets. 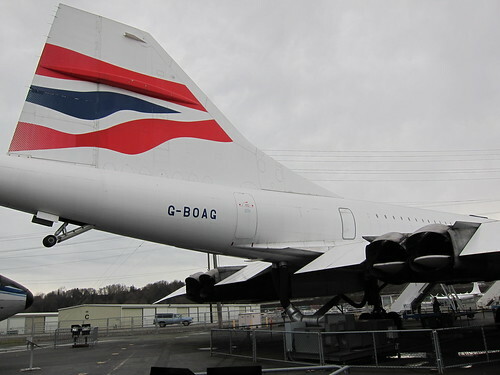 There is something really beautiful about the Concorde’s sleek supersonic engineering and its iconic pivoting nose. Although an old and retired technology, to me it symbolizes innovation and luxuriously fast flight times. The Concorde was a joint project between Air France and British Airways and made its first scheduled flight on January 21, 1976 after over a decade of development, prototypes and test flights. Twenty planes were produced. The jets could reach Mach 2.0, or twice the speed of sound, thanks to four turbojet engines. The heat generated in flight would cause the fuselage to expand by 8-12 inches. Given the steep angle of approach at take-offs and landings, the pilots’ view of the ground was completely obstructed. The droop nose, which bent to 12.5 degrees below the plane of the aircraft, was created to maintain the rigorous aerodynamics needed for supersonic speeds while still allowing for safe departures and arrivals. Upon breaking the sound barrier, pressure differences around the aircraft produce a loud sonic boom. (Incidentally, this is not heard by passengers but by those on the ground.) 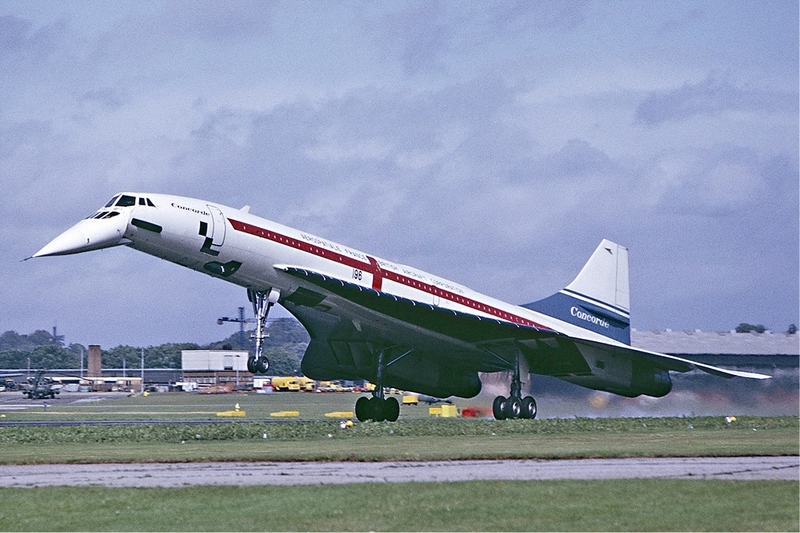 While this speed was a huge advantage for travelers on the Concorde, noise pollution concerns quickly lead to legislation that forbade supersonic commercial air travel over the US. The Concorde was then limited to transatlantic or other ocean-going routes. The Concorde holds the transatlantic transport record, making it from New York City (JFK) to London-Heathrow in just 2 hours, 52 minutes, 59 seconds. The quick flight time makes for some interesting paradoxes. If you were to leave London at 5pm, given the short travel time and 5 hour time difference, you would land in New York City at 3pm – or before you left the UK! On July 13, 1985 Phil Collins performed at the Wembley Stadium Live Aid concert, flew to the US on the Concorde and then joined the simultaneous Live Aid concert in Philadelphia. 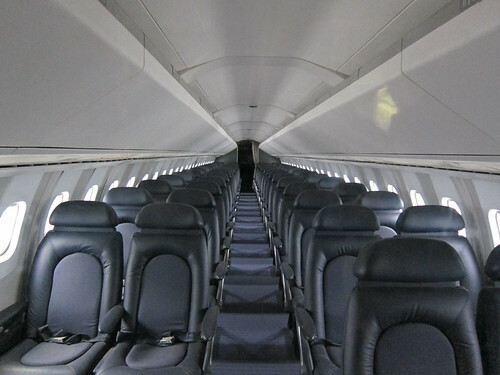 Passenger accommodations are reported to have been first-class on the Concorde, but walking down the aisle, the plane interior felt like a small commuter jet. The seats themselves were definitely smaller than those you would find in first class on a Boeing 747. It must have been a cozy trip for the ~100 passengers. The high cost of operating the Concorde and a decrease in air travel post-9/11 led to their eventual retirement. As demand dwindled, transatlantic ticket prices escalated up to $10,000-12,000. The Concorde was therefore retired in 2003. Several of the planes have made their way to museums purchased outright or like the one in Seattle, on loan from BA. It was a great opportunity to visit a luxurious icon of modern air travel. Oh, I miss those planes! It used to be such an icon of modernism and speed! Nice post. I used to work near Heathrow Airport at Windsor in Berkshire and we used to hear the Concorde take off every day at eleven o’clock. It was loud even before it went through the sound barrier but it was a beautiful sight. I think the fatal crash in 2000 also helped to bring about its eventual demise. 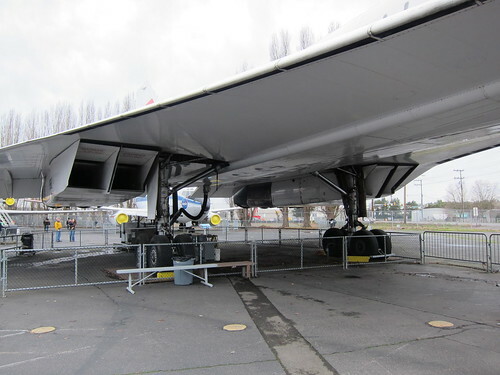 I saw the Concorde take off a lot from Heathrow too, and always wondered what the inside looked like. Thanks for sharing! Andrew and Paul, I wish I had had the chance to see the Concorde “live” too. It’s a beautiful plane. I would love to see Concorde!!!!!!!! !